Galaxea sp. 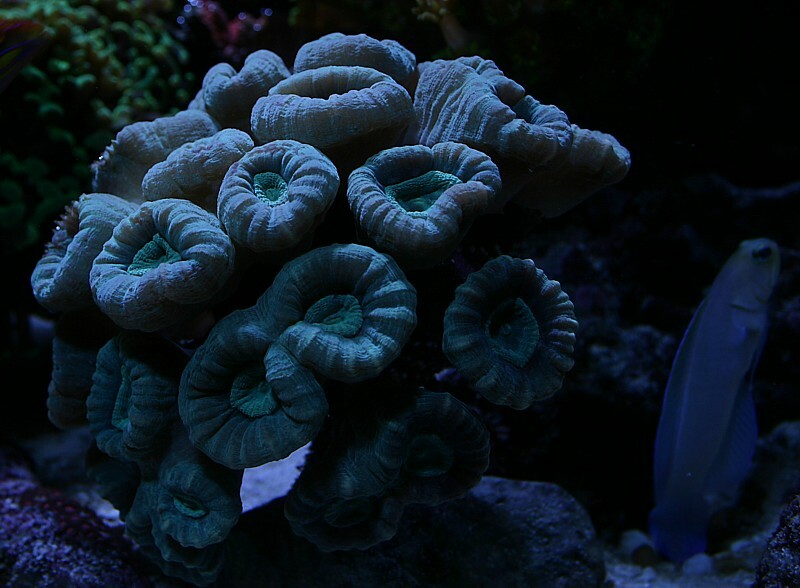 Green galaxy coral. Fast growing, hardy, and easy to frag (I do it with a hammer an chisel sometimes). Originally from Mark C., IL. Pic is a closeup of a colony. Forms sweeper tentacles, so give it some room to grow. 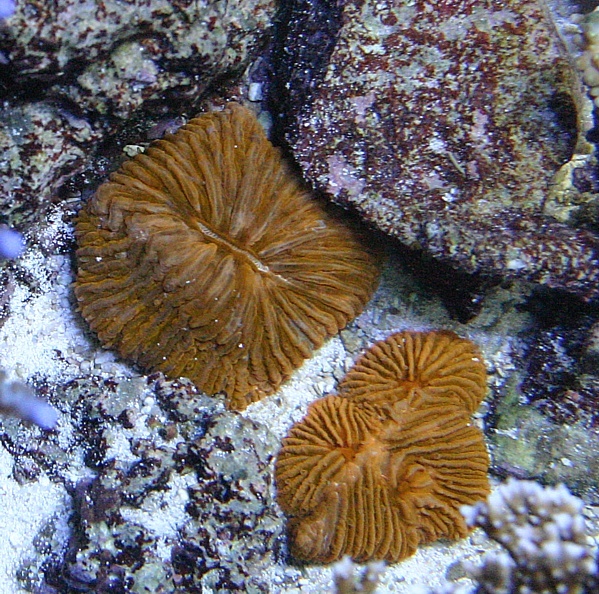 Fungia sp. 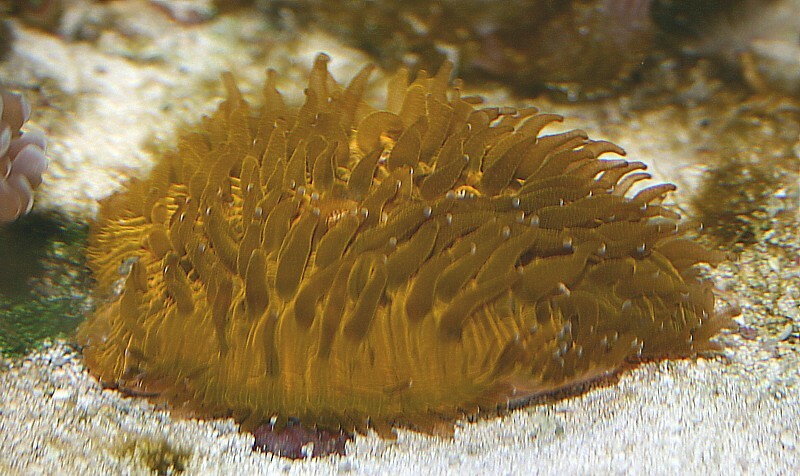 Solid gold fungia, collected in the Solomon Islands. Caulastrea sp. 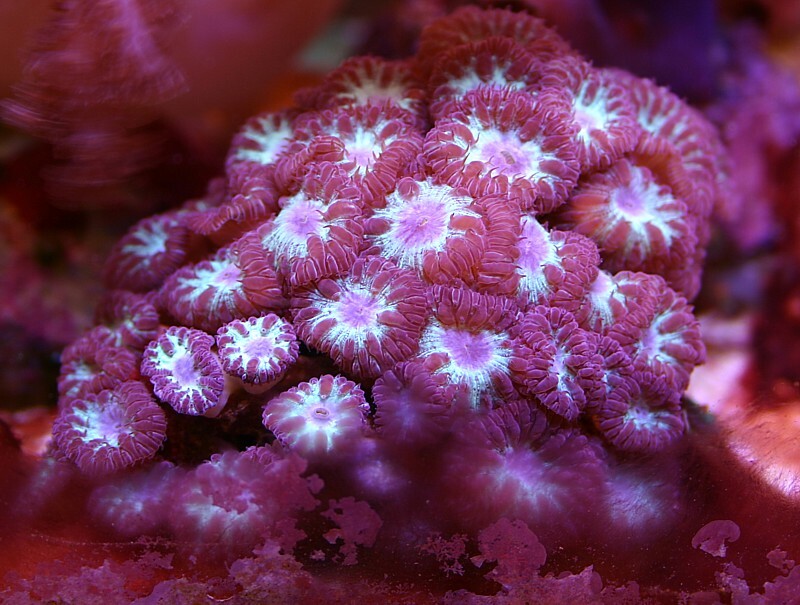 Trumpet or Candycane coral. This very large-polyped species/morph is very hardy and fast growing. It is also easy to frag. Originally from David Y. in NH. 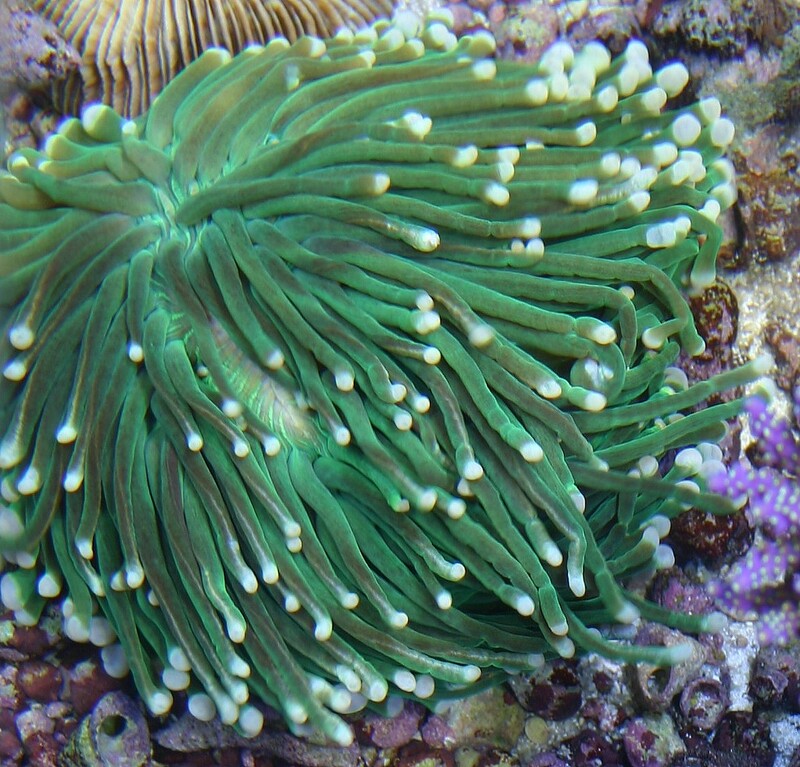 Euphyllia ancora E. ancora, bright green anchor coral. Euphyllia divisa E. divisa, green frogspawn coral. 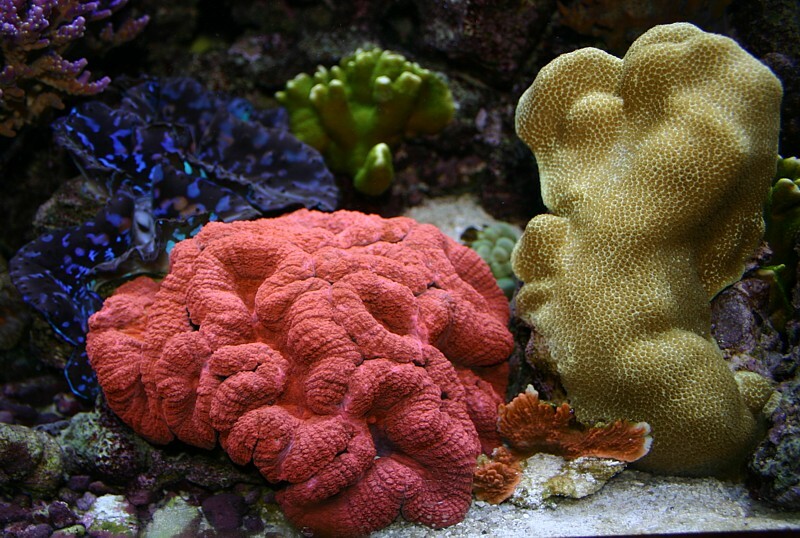 Bright green polyp tips, grows quickly, easy to frag, and hardy. Originally from Sea World in NH. Euphyllia paraancora E. paraancora, pale greenish branching anchor coral. Originally from trade with a local hobbyist. > Euphyllia glabrescens E. glabrescens, Torch coral, bright green with white tips. Originally from trade with a local hobbyist. Tubastrea sp. Orange Tubastrea, orange cup coral or sun coral. Orange, from in-tank asexual reproduction. The original mother colony came from Exotic Aquaria in '97. It grows quickly if you take the time to feed it. In my experience it only needs to be fed directly once per week to continue to grow. The colony pictured was grown from a single, nearly microscopic polyp over the course of about 18 months with twice weekly feedings. > Alveopora sp. 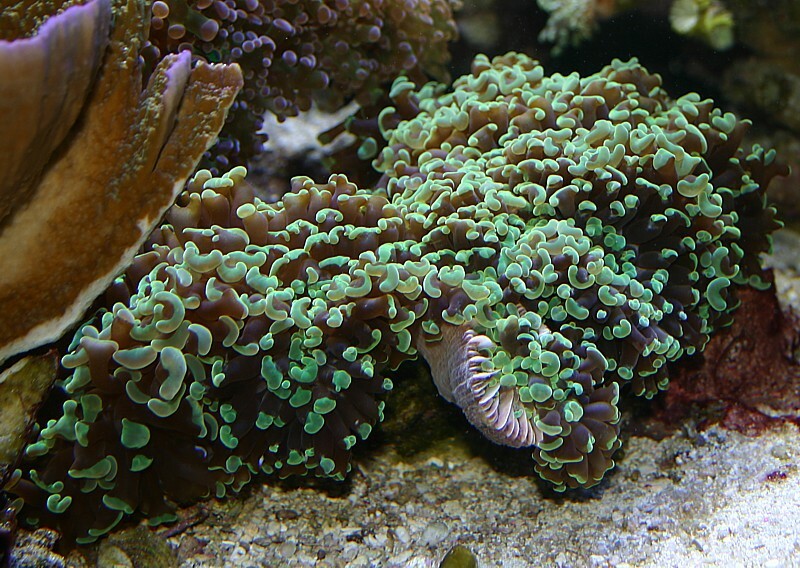 Green with long polyps, similar to Gonipora, though much easier to keep. Colony aquired in 2001. Very slow growing. Gonipora sp. 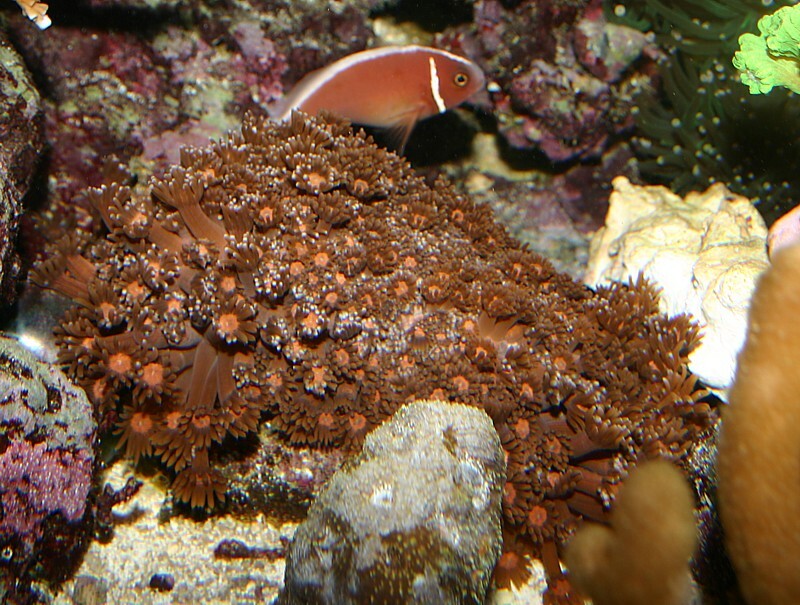 Red Gonipora - a rare hardy Gonipora. Can be fragmented with a Dremel tool. 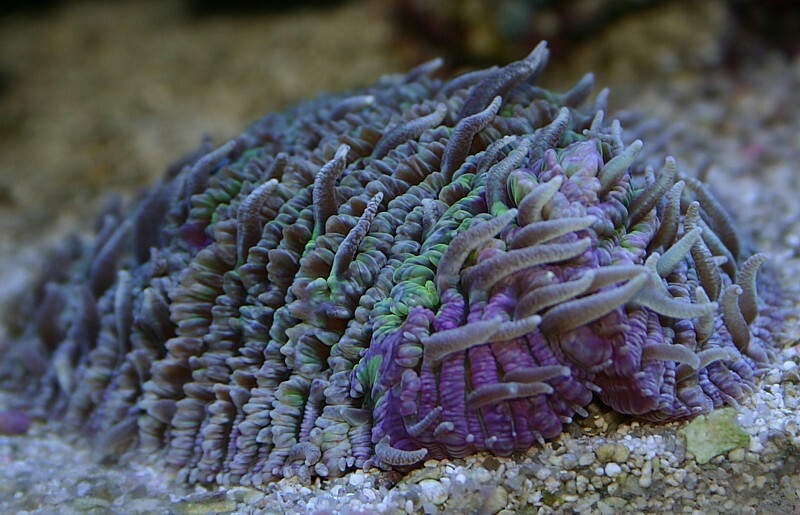 Polyps normally extend more than in photo. Clownfish were disturbing it. Designed by MABW © 2004 Greg Hiller Corals, all rights reserved.